In 1929 at the southern tip of San Pedro a chunk of land nearly 40,000 square feet in size began inexplicably sliding into ocean. The community of bungalows encompassing the area was soon evacuated, and homes subsequently removed (the above edit was made per Ray’s comment below). Amazingly, experts of the day measuring the slippage estimated ground was shifting at a rate of about 11 inches per day at its peak. The rapid change meant while most of the homes were safely moved, two actually fell into the sea before they could be saved (talk about man vs. nature!). Today the area has been fenced off and the ruins that are still leftover from that turn of natural events are known as the “Sunken City” of San Pedro. What you’ll find there are the remnants of foundations, curbsides, sanitation and piping from what was once a real-life L.A. neighborhood. 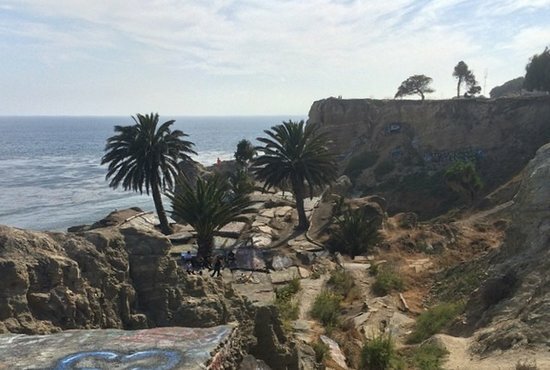 Graffiti artists have added their own flavor to the ruins over time, but regardless of your feelings about the street art, you’ll always be guaranteed a gorgeous view of the Pacific Ocean. 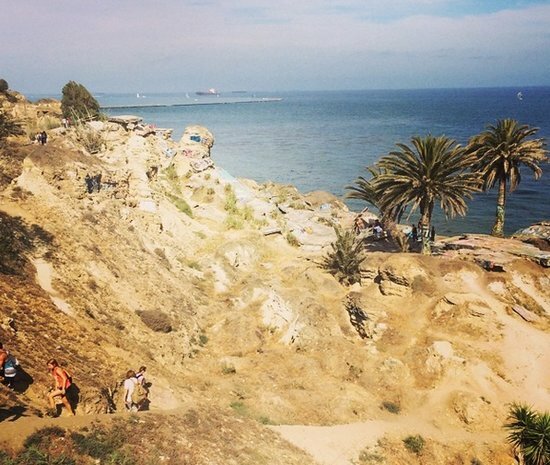 Truly one of L.A.’s most unique spots, the Sunken City gets deserving mention both on our list of 13 weird but cool things to do in Los Angeles along with something we advocate doing every summer. 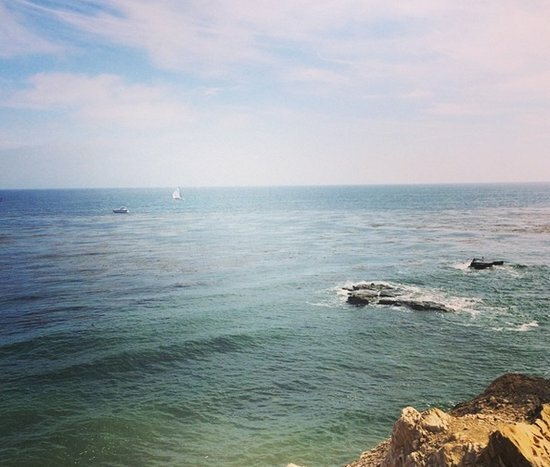 EDITOR’S NOTE #2: According to reporting by the Daily News (5/11/2015) Los Angeles City Councilman Joe Buscaino is floating a proposal to reopen the Sunken City for public use. The proposal would not remove the fencing around it, but create an automated gate allowing daytime access to the preserved area. The major issue at hand is any liability the City may incur from the result of potential injuries. Check the link for the full story. – This area is technically not open to the public. There are trespassing signs up, though they go pretty much entirely ignored and I’ve never heard of anyone getting arrested. – In order to access the ruins you’ll either need to hop a fence or climb under a hole that’s been dug out at the western end of the cliff near the park. – Teenagers seem to make this a popular hangout, and you’ll be sure to find a few loitering about if you visit on a weekend afternoon. – Be sure no one is cleaning this place, so expect to find a fair share of litter. – Wear solid footwear as you’ll want sure footing navigating the dusty slopes and rocks that populate the ruins. – Take caution! Don’t be a dummy and fall over the cliff!